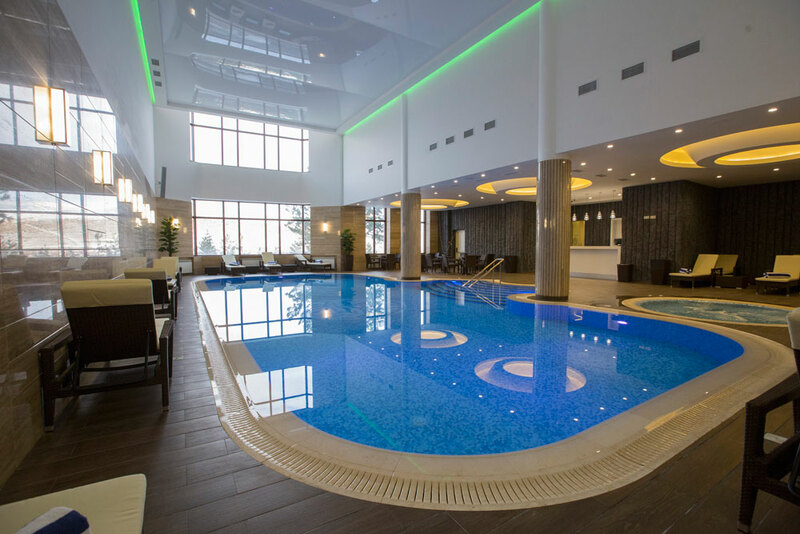 The indoor swimming pool is an ideal place for having a peaceful holiday and entertainment during a family vacation. Panoramic view to the mountains is a wonderful way for toning break during your visit in Ararat Resort Hotel in Tsaghkadzor. Our guests will be provided by towels, slippers, bathrobe and wardrobe in pool area. Hey Buddy!, I found this information for you: "SWIMMING POOL". Here is the website link: http://araratresort.ru/swimming-pool/. Thank you.